Is there a better alternative to Datum Free? 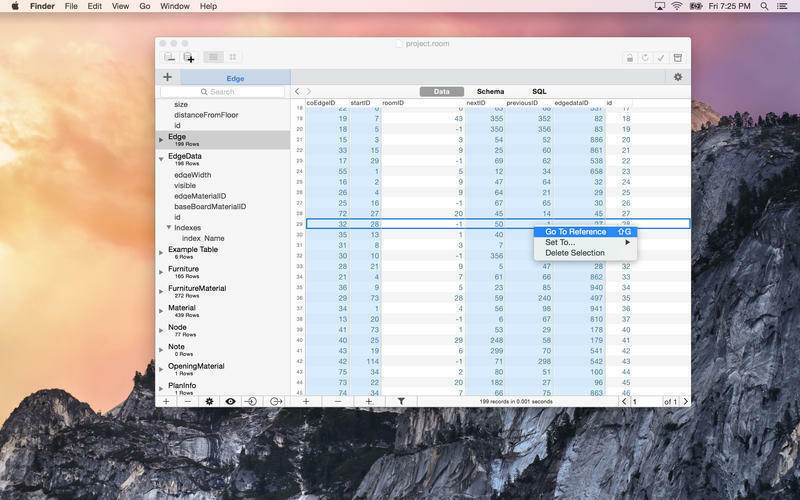 Is Datum Free really the best app in Developer Tools category? 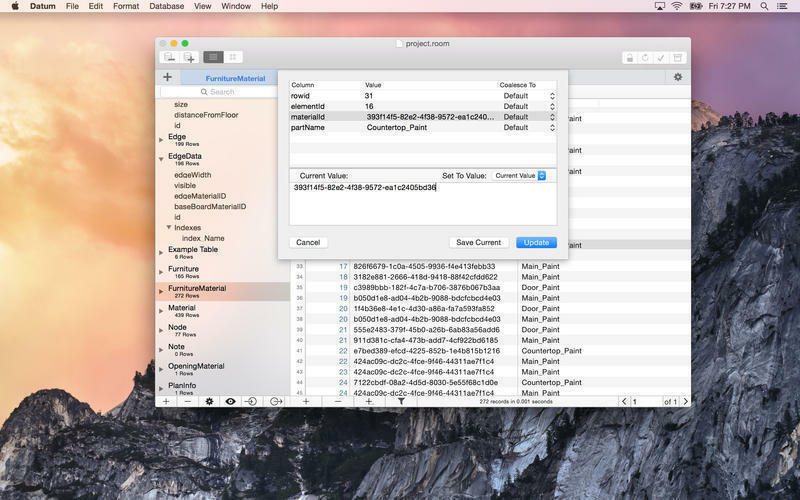 Will Datum Free work good on macOS 10.13.4? 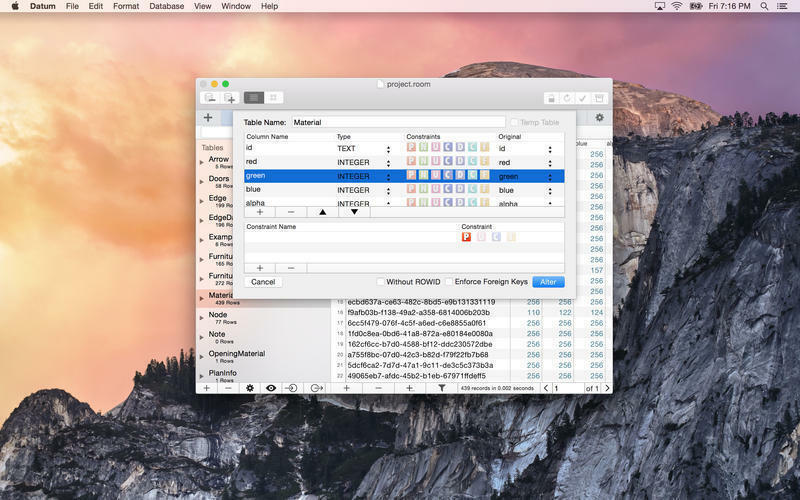 Datum Free is a fast modern database viewer. This has all the features and speed of it's predecessor and is FREE! Quickly view your data and modifying table schema. 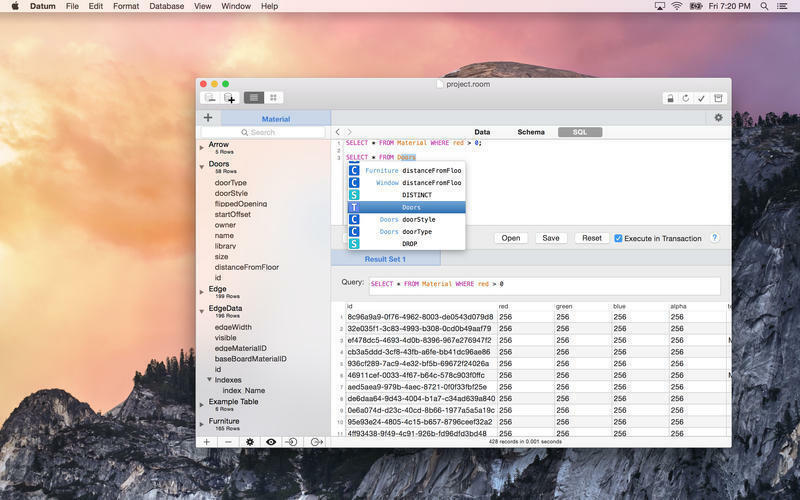 This app is perfect for anyone who deals with SQLite. Especially those who are just looking to browse or only need to import or export data as it is by far the cheapest, most powerful option on the App Store. 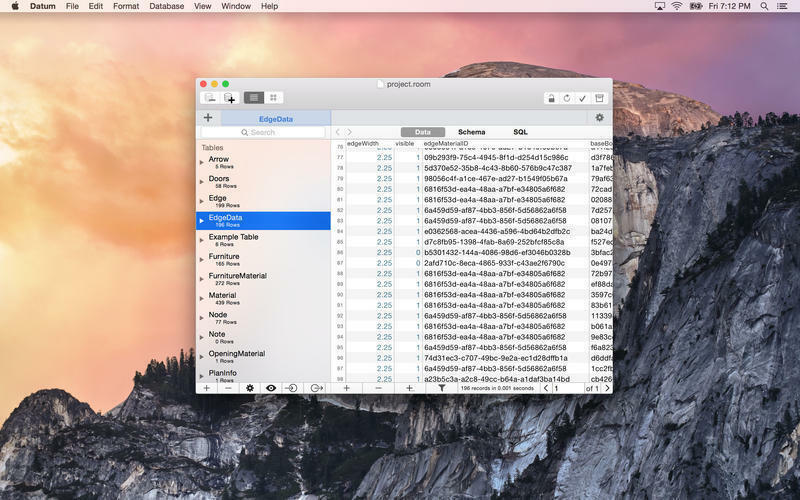 QuickLook SQLite Database files from Finder to see in an instant some of your data, open it up in a blink of an eye to see the rest. Datum Free needs a rating. Be the first to rate this app and get the discussion started! Create beautiful yet complex tables with just few simple clicks. Add constraints easily and cleanly. Alter your existing tables by modifying column names, column constraints or types as well as table constraints. Take full control and execute raw sql commands directly from the app with comprehensive feedback and transactional safety. Open returned results in a full browser window for easier viewing. Export it for use elsewhere. View Multiple queries data quickly and simply. Export single tables or your whole databases, with in-app purchase, in a variety of formats to whatever suites your needs. Missing a format? send us a line and we'll see what we can do. View all the SQL statements from the log to keep track of all thats going on under the hood including triggered statements.